Close. Many products that now boast they’re “BPA-free” have simply switched to a BPA relative that may be equally toxic! Regular readers will be aware of our campaign against BPA. Bisphenol-A is a dangerous, endocrine-disrupting chemical found in many polycarbonate plastics. It has been linked with serious health problems, including cancer, birth defects, and heart disease, but has been used in baby bottles, children’s dental sealants and fillings, and cash register receipts. Some unscrupulous manufacturers, responding to the controversy, have switched BPA in their products with bisphenol-S (BPS), a BPA analogue in the same bisphenol chemical class—which may be every bit as toxic. This allows them to trumpet that their products are now “BPA-free,” and technically, they are: but they still contain bisphenol. BPA has become a concern worldwide, and many countries have banned it in baby bottles and other applications. In the US, several states now prevent BPA from being used in children’s products, and consumers are demanding that their products no longer contain BPA—which is why substituting BPA with BPS seems like such a devious shell game to us. Two studies published recently in the journal Environmental Science and Technology discuss how BPS is increasingly being substituted for BPA. BPS was found in thermal cash register receipts in the US, Japan, South Korea, and Vietnam in similar concentrations to original BPA. BPS was also found in 87% of paper currency from 21 countries. And BPS was found in the same concentrations as BPA in individuals from eight countries. The health effects of BPS have been studied less than with BPA, but a growing body of additional research indicates that BPS is an artificial estrogen just like BPA, with clear potential for carcinogenic effects and damage to reproductive health. Many companies simply do not disclose the chemical used in their plastic. For example, the famous Nalgene water bottle is made with “co-polyester” plastic. 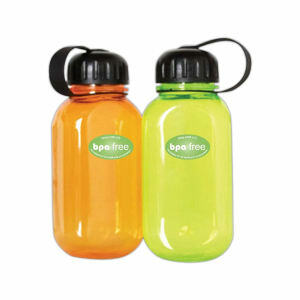 While they claim to be “BPA-free,” they do not disclose what chemical they are using instead! Bisphenols are part of a broad family of chemicals, each with different properties but all, it seems, potentially dangerous to humans. Bisphenol AF is used in electronic devices, optical fibers, etc., and studies show it to be an even more potent endocrine disrupter than BPA. Bisphenol B and F are also frequently substituted for BPA. Bisphenol B is potentially more potent than BPA in stimulating breast cancer cells. This chemical can encourage cells in the pancreas to secrete insulin inappropriately, supporting a link between type 2 diabetes and exposure to low doses of BPA. Mothers who expose their fetuses to BPA risk having obese children because BPA can alter the development of stem cells, affecting both the DNA and the number of fat cells a person will have. And BPA may impair memory, according to study in published in Behavioral Neuroscience. Adult rats exposed to a single dose of BPA had trouble recognizing objects or remembering their location only a few hours later. This is all in addition to the risk to reproductive health outlined in the groundbreaking book Our Stolen Future: Are We Threatening Our Fertility, Intelligence, and Survival? by Theo Colborn et al. Despite the chemical’s demonstrative dangers, FDA has refused to ban BPA in food packaging, claiming that “there is not compelling scientific evidence to justify new restrictions” on the chemical. In the past, FDA has relied on industry studies in reaching its decisions.